Spectrum Electrical Solutions UK specialise in Electrical and IT installation Contracts, We are competent to carry out any type of install in all fields of electrical installation and design to the 17th edition wiring regulations BS 7671 also testing can be undertaken inc Periodic Inspection Reports In all areas, Portable Appliance Testing etc. Spectrum Electrical Solutions provide a maintenance service to commercial and industrial properties in annual contacts or on hourly rates inc 24 hr call out. We are trained to install and design cat5e and cat6 structured network cabling inc data cabinet layout to the highest standard issuing 25 year guarantee’s on all installs to ANSI, TIA/EIA standards and approved by Hellermann Tyton. We also can provide and install Fibre optic cabling inc back bones and Fibre permanent links. We have installed UPS back up systems and generator sets including synchronisation of various capabilities for many clients inc APC UPS, CPS UPS, etc. We also install water detection systems, security door entry systems, Fire alarm systems, intelligent lighting control systems. 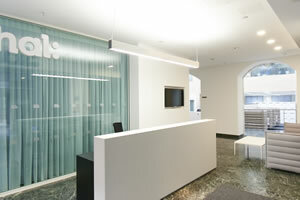 We also have a lighting design team to help with all requirements. Spectrum Electrical Solutions major business is in the commercial/industrial/Domestic sector. Electrical and data installations are undertaken from £500 to £250,000. Current turnover is in excess of £1,000,000 per annum, and the current workforce comprises fourteen electricians and four supervisory staff. Spectrum Electrical Solutions are located in Hertfordshire close to the M1, M25, M40 and M4 Motorways and contracts have been completed from Newcastle to Portsmouth inc all major cities such as London, Manchester, Birmingham etc.